Hello gorgeous! Faviana S10242E is a show stopper! 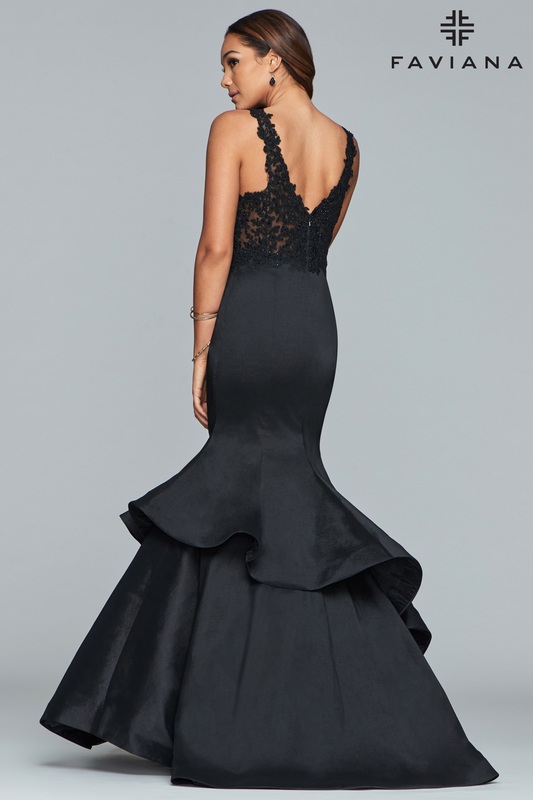 This gown features a v-neckline with mesh and lace embroidering on the top and a zipper back. The skirt is made of a stretch taffeta material which hug closely to your body to show off your gorgeous curves and then falls into a fun mermaid style bottom that flares out starting at the knee.